There are two ways to buy a car in Canada: through an established dealership or a private seller. Dealerships sell both new and used vehicles and operate under a defined set of rules and regulations. A private seller is someone who is selling their pre-owned vehicle outside of official channels. Both options have their own pros and cons, but the decision ultimately comes down to your personal preferences and car goals. Pfaff Mazda is here to share some of the benefits of buying your next Mazda from a Mazda Dealer in London, like us! 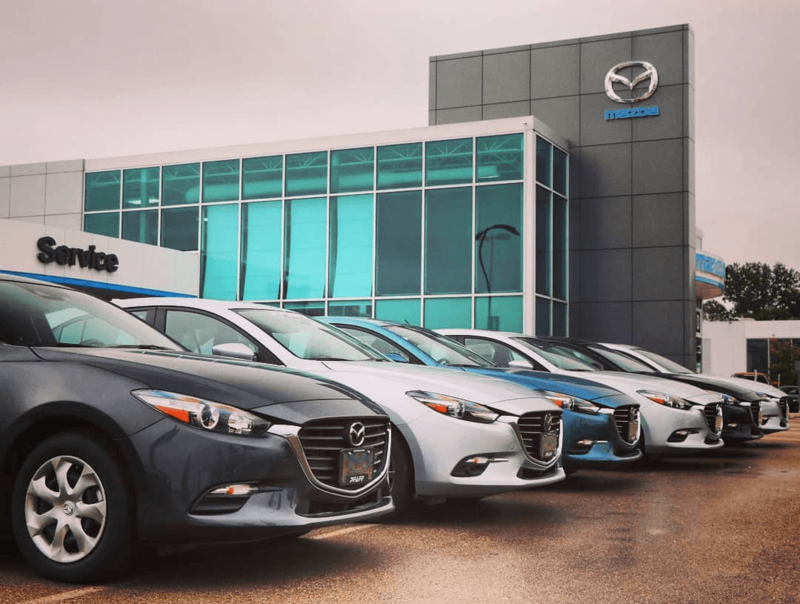 Looking for a brand new Mazda with all the bells and whistles? Or are you interested in a pre-owned Mazda with low kilometers? When it comes to vehicle selection, dealerships have the upper hand. They sell both new and used vehicles and offer a wide variety of upgrades and add-ons so it’s easier to find the car of your dreams. Since dealerships sell new and pre-owned vehicles at a variety of price points, it’s easy to find a car that fits your budget. Dealers also offer customer incentives like cash-back rebates, low-interest financing options, and other perks that can save you money on the sticker price. Vehicle condition is a defining difference between dealers and private sellers. Shopping at a Mazda dealer in London means you can be confident that you’re buying a high-quality vehicle. New cars are covered by a manufacturer’s warranty, which means any defects or surprise issues that arise in the first few years of ownership will be fixed free of charge. Most dealerships also offer certified pre-owned vehicles that have an extended warranty and have been inspected, refurbished, and certified. Dealerships have a variety of payment options available to customers, including in-house financing and leasing. Choosing a payment plan through your dealership also means you can avoid the paperwork and hassle of bank financing. The reasons why you should choose a Mazda dealer in London for your next vehicle purchase are very straightforward. For more information about Pfaff Mazda, please feel free to continue browsing through our dealership website. Click here to find our contact information, schedule a test drive, or to fill out our contact form.